EAGAN, Minn. – The Vikings have added another offensive lineman, the team announced Thursday. Dakota Dozier signed with Minnesota after spending his first five pro seasons with the Jets. 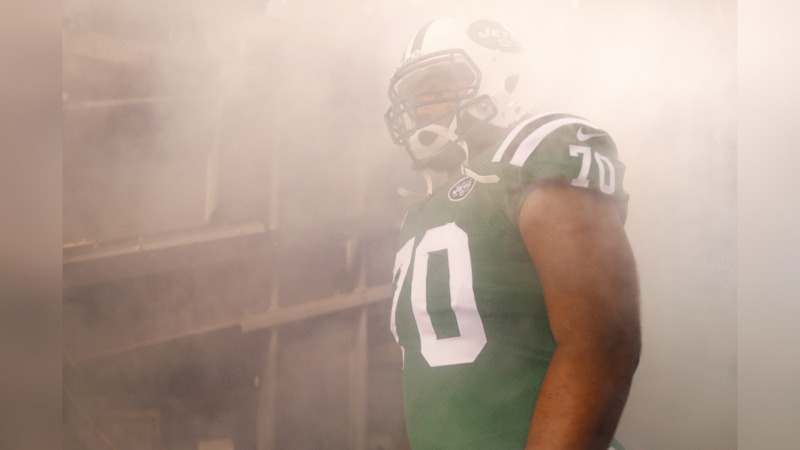 The 27-year-old has started seven of 37 games played for New York; each of his starts has been at right guard. Dozier made his NFL debut in September 2015 when he stepped in for injured center Nick Mangold against the Browns. Dozier started 44 of 45 games played for Furman University, making 43 of those starts at left tackle and one at left guard. As a senior in 2013, Dozier served as a team co-captain and helped the Paladins to a Southern Conference championship. View images of new Vikings OL Dakota Dozier from his days with the New York Jets. A native of West Columbia, South Carolina, Dozier attended Brookland-Cayce High School and played offensive tackle, defensive tackle and defensive end. He didn’t only impress on the gridiron, however. As a senior, Dozier won a region individual wrestling championship. Dozier joins three other former wrestlers on Minnesota’s offensive line: tackle Riley Reiff, center Pat Elflein and guard Josh Kline. Dozier has exhibited high character over his time with the Jets, and it was recognized early on. In 2014, he was honored by the team’s equipment staff and past winners with the club’s Bill Hampton Award, which is given to the rookie who most conducts himself as a professional in the locker room. Dozier also has made an effort to give back. In February, the guard met with his high school coach, Dean Howell, and spoke to the young team. Dozier, whose full name is Dakota Duran Dozier, and his wife Haley welcomed a son, Dakota Jr. (“Dak”), on Sept. 13, 2018. Dak isn’t the only one in the family with a nickname.  Dozier’s nickname is “Bull” (Bull-Dozier … get it? ), and he reinforced the moniker last year when the Jets asked him to play some fullback over the final four games of the season. The new position paid off against the Bills, when the Jets decided to go for it on fourth-and-goal from the Buffalo 1. Dozier, 6-foot-4 and 313 pounds, made two blocks that helped Elijah McGuire make his way into the end zone. “That was definitely a lot of fun,” Dozier said after the game.